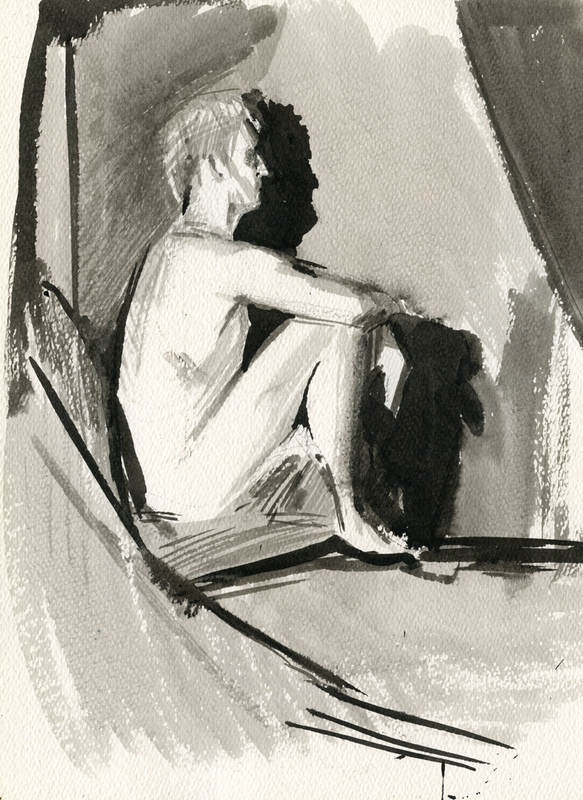 If you want to go to an evening Life Drawing Session in Ashland, Oregon you have two choices: My group at Second Floor Studios or Steve LaRose’s group at Tease. 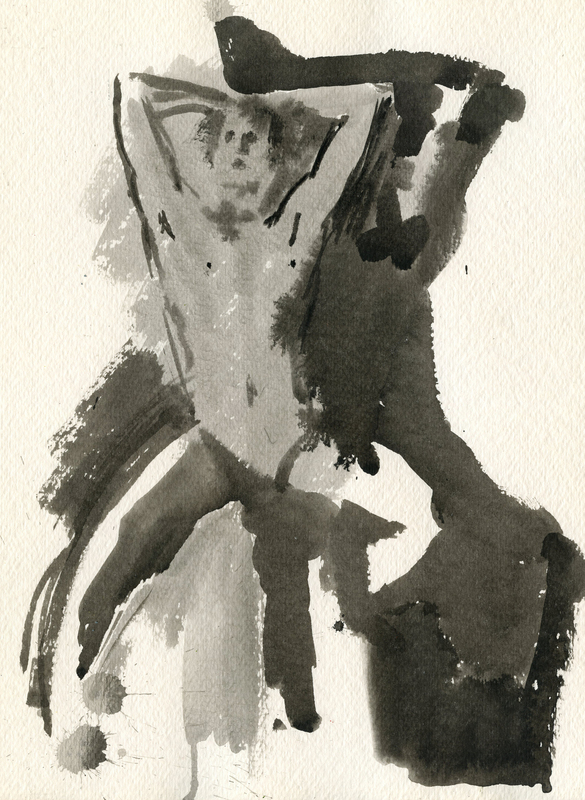 The spring weather fronts seem to have been blowing in a desire to switch things up and try sketching with ink wash, because in the last couple of weeks both Steve and I coincidentally have switched to that medium. Check out his blog to see his results – which look pretty cool. 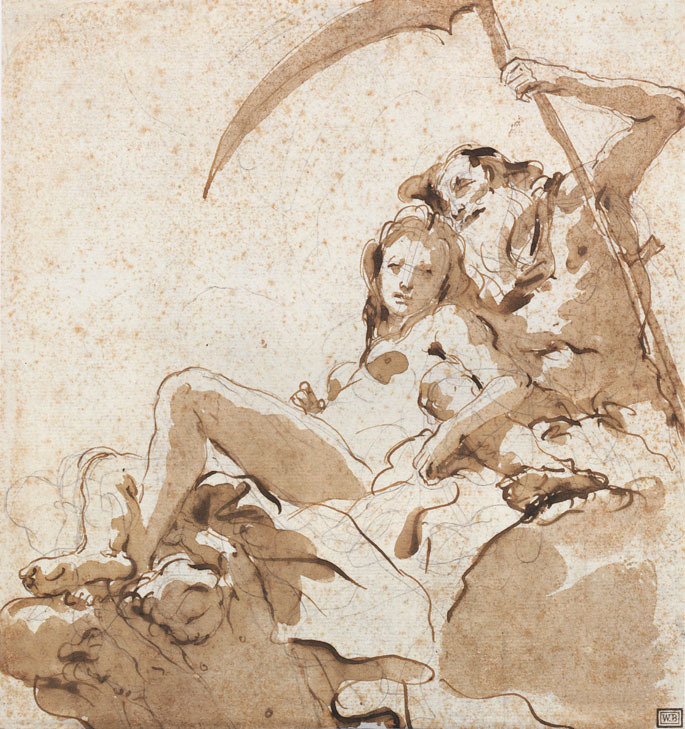 Personally, I was inspired by a Tiepolo sketch I saw at the Portland Art Museum recently. And how humbling indeed when I got home and gave it a go. But it must be good for my little brain to think in another way. There’s a ton of potential with this medium – working with a wide value range is pretty powerful and I like the loosey flowy fresh jazz you get. 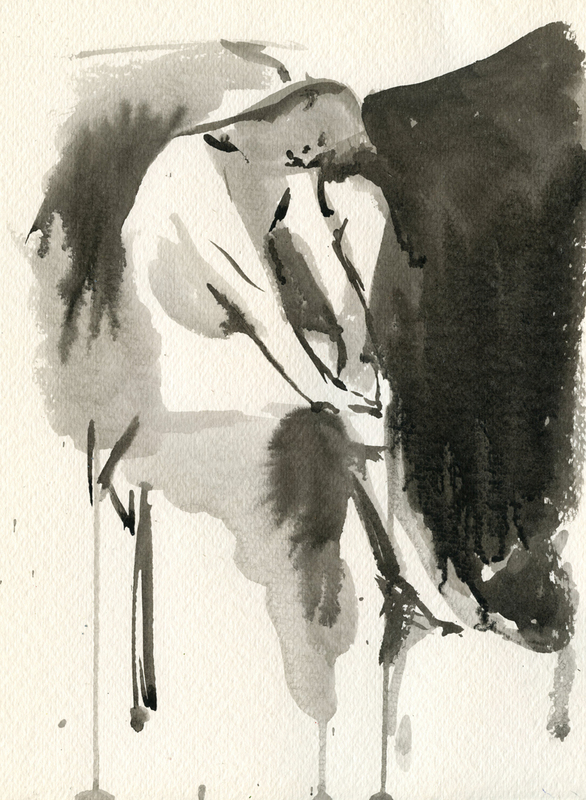 With ink wash too you cannot go back very well – I can blot a little I guess, but it really forces you to keep it fresh and intentional. I’m planning to stick with it for a while – at least until I blow through all my watercolor paper. Hopefully I will get a little closer to the results I’d like to see. I’d like it to be fresh and gestural, yet precise and solid. Aren’t you a sweetie pie! Thanks!